I miss having you close to help with all my plumbing! No one else stacks up! Thanks for being honest and an expert! I know your new business will succeed! Once someone has you..they will never call anyone else!! Richard Tollefson has many years of being a professional master plumber. You'll never be disappointed with Richard's work & his wife Teresa's professionalism in taking care of your needs! My wife and I were in the process of remodeling our bathroom. After demolition, we discovered that we needed to have a plumber check out all of the bathroom plumbing. We called Integrity Plumbing and the technician came out the next morning and was able to take care of everything we needed done in order to proceed with the remodel. The tech arrived on time, got the job completed in a timely fashion and we were very happy with his work. We would definintely recommend Integrity Plumbing for any future needs. (Smiley Face) Quality, Customer Service, Thoroughness. Very polite and respectful plumber, Rick." Richard was very professional, He fixed 3 bathrooms and a kitchen sink and disposal. We were so pleased with Richard we will share his name with all our friends. Fare price and excellent work. He will always be where we call from now on for plumbing needs. (Smiley Face) Thoroughness, Customer Service, Quality. Teresa responded to my call very quickly and scheduled an appointment same day. Richard arrived on time and quickly and professionally completed my repairs. Very knowledgeable and cut no corners to complete my project. I will recommend Integrity to anyone. Fast service, great work, reasonable price. I'm 100% satisfied! Will definitely use again and will also recommend. I used the dealsaver and it was a great value. Integrity was here for 2 hours at pre quoted bid. Great job, professional and informative. Teresa automatically called to let us know Rick was on his way, good thing, we were sleeping late. Rick was on time, polite and professional. He provided good service at a good price. I will use him again and will recommend him to others. (Smiley Face) Quality, Thoroughness, Customer Service. Pleasant, friendly, efficient and knowledgeable. I feel confident that our plumbing needs are being taken care of. Rick did a great job and would recommend to others. I finally found a great plumbing co. !!!! It's a small company but, maybe that's why the care so much about their customers. You can be sure that the work will be done right and the price will be reasonable. 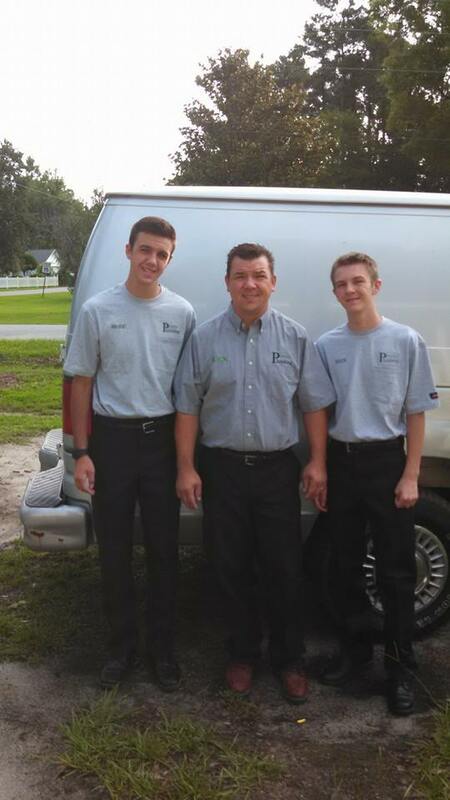 I have referred my family and friends to Integrity Plumbing! Their name says it all! Rick and his staff are true professionals. They arrive when they say they will and they do the job right the FIRST time. They are a pleasure to work with even in the worst of times. Very professional and knowledgeable. When asking questions about the the product I was interested in and how it would be installed, Rick did not hesitate for a second in explaining everything in a way I could understand and then went about his work. I would recommend them to friends and family, he was recommended to me by my brother! Rick was on time and got the job done promptly and professionally, and for the quoted price. I would no hesitate to hire them again, anytime. Convincing competence. Very skilled and dedicated to doing job right. On time, courteous, efficient. Thanks for squeezing me in and taking the time to answer the rest of my questions and discuss the rest of the work that has to be done. Rick did phenomenal job. Both work done and his friendly and informative demeanor rates him a 10. Will use Integrity Plumbing in the future. Thank you for coming so quickly. There's nothing like a nice hot shower. Honesty & perfectionist. Great work & attitude.highly recommended. “On time, performed work, explained process, cleaned up , good presentation of self and company! as usual, rick SOLVED the problem! he is my hero! very highly recommended! brian did a great job!!! Water heater started leaking the night before my Husband was having heart surgery the next day. called late at night and heater was installed the next day. In need of some help....only one plumber on the beach can satisfy my wife's needs. Thank you sooooo much for your quick response!!! Rick is the best plumber i have ever dealt with and I want him involved in any plumbing issues i have from now on! Gave us a good choices. Taught us how to use equipment correctly and how to avoid problems. Great service and beautiful results as always! Y'all rock! I called a couple of plumbers prior to hiring Rick, my particular project involved a natural gas fire pit and grill. He is very knowledgeable in this application. He explained the process and which gave me peace of mind.. You don't fool with gas! Great communication, polite a true small business success. I would never hire anyone else besides Integrity Plumbing. just an all around company to work with. Every one is terrific, Rick, Theresa, Jim, etc. Can't say enough! Great professional service from Jim, will consider the yearly maintenance check. Jim was friendly, knowledgeable and professional. Last week, Rick, also did a GREAT job~ Integrity will be my go-to plumber from now on! Thank you! This is probably the most professional business I have ever dealt with and will and have recommended them to everyone I know. Can't say enough kudo's for this company. I wouldn't deal with anyone else in Myrtle beach. Thanks to Rick for coming to Ocean Lakes to repair the gas leak under my camper! You provided great customer service and a fair charge for your service. Great service each time we've had work done. Will definitely recommend this company and plumber to our family and friends. Rick and Jim are the best plumbers we're ever hired! They are courteous, prompt and professional. Most importantly, the name of the company says it all; Rick and his team are high integrity people and are reasonable with their rates. We've used Integrity for numerous projects at our two beach houses and give them 5-stars across the board! He does exceptional work and is very professional and kind. We highly recommend him to all our family and friends. Thanks again Jim for great service!! Jim did a fantastic job for us once again! We appreciate his exceptional service and kindness. We couldn't ask for better service!! Thanks again Jim! Always been extremely satisfied with the level of service received. This company does great work and we highly recommend them. Very polite and very reasonable. Asked for business cards to share with neighbors. Identified small gas leak in kitchen below cook top. Rick arrived on time, was efficient, courteous & professional. He explained what he was doing all through the process, completed the work and checked for any leaks or other issues. Excellent service & very reasonable priced. Highly recommend Integrity Plumbing. Thanks. As we are out of state, it was great to work with you over the phone. We greatly appreciated your flexibility and commitment to service. A pleasure working with Rick who is a true professional !!! rick is the BEST !!! Unfortunately I needed a plumber, FORTUNATELY I called Integrity Plumbing. You are the best! I can¿t say enough good things about you. You fixed all my issues in a very timely manner at a very reasonable cost. I would and will recommend you to anyone looking for a plumber. Thank you so much. Better than expected, in all aspects. If you are a customer, we would love to receive feedback on your visit. Thank you for giving us some feedback. If you have requested a response, we will get back to you soon. Thank you again.